Dryvit is an exterior building material that is commonly used in construction projects. 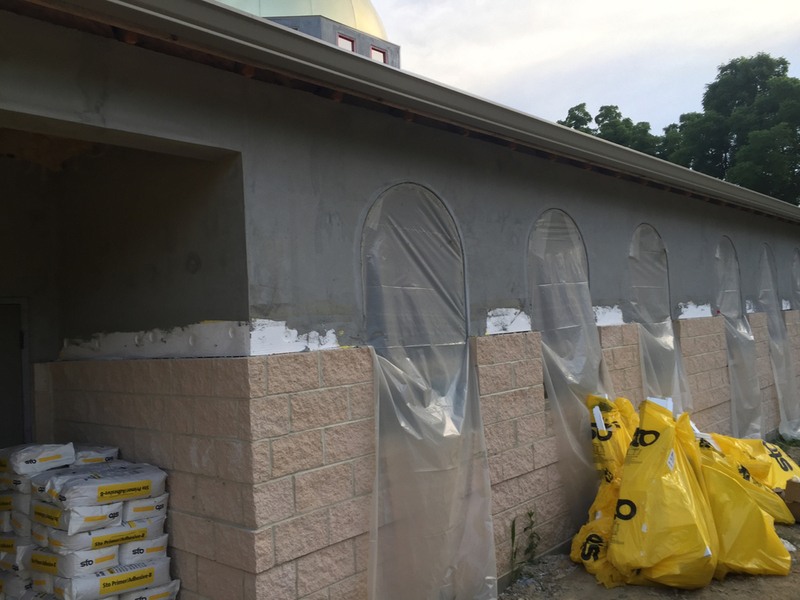 The process involves bolting large sheets of stiff construction grade styrofoam to the outside of the wall, then wrapping them in mesh and applying a waterproof concrete. The color tinted Dryvit material is then applied. 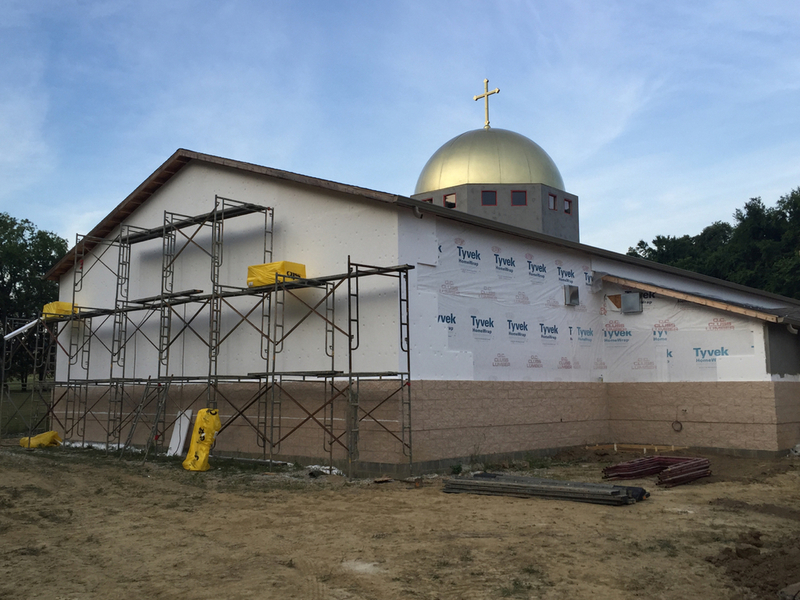 On the front of the Social Hall above the classrooms and in the middle of the back of the church wall there will be a three-bar Orthodox Cross in a complimentary color. 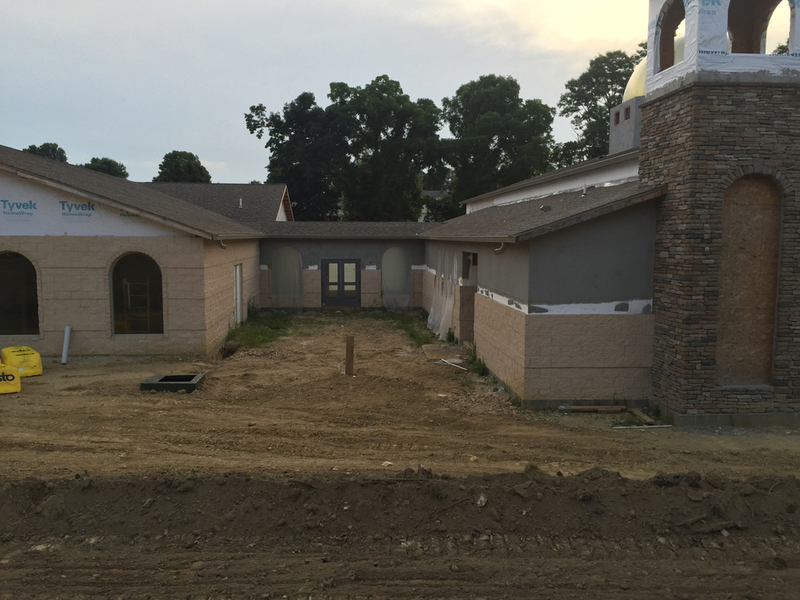 Check back next week for additional pictures as the Dryvit is completed. Click the More Information link to see additional pictures of the preparations for Dryvit around the building.